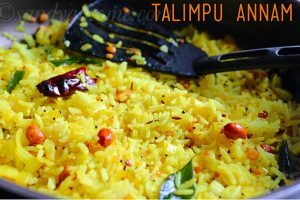 Tempered rice/ Talimpu annam/ Thalicha sadam is a quick and instant recipe to add flavors and taste to your leftover rice. 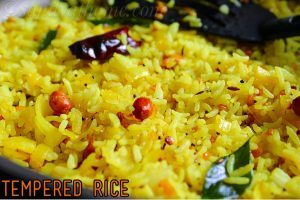 Tempered rice is a flavorful rice with crunchiness from dal and peanuts is very easy to prepare and requires very few basic ingredients in its making. 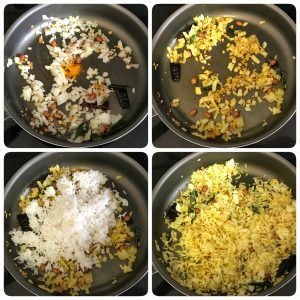 This is one such method in which i finish up the left over rice, as it does not involve much of work. 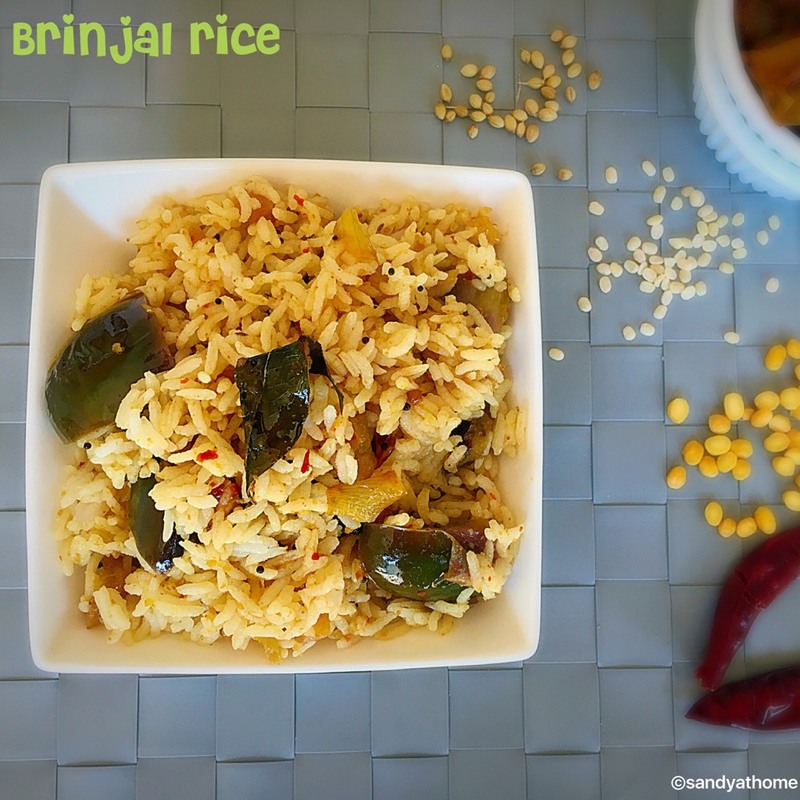 This recipe can be prepared with fresh rice as well, on days when you really don’t want to cook something big and for more spiciness you can add green chilli as well. So below is the making video along with pictorial description to make it easy for beginners. So lets get to the making! 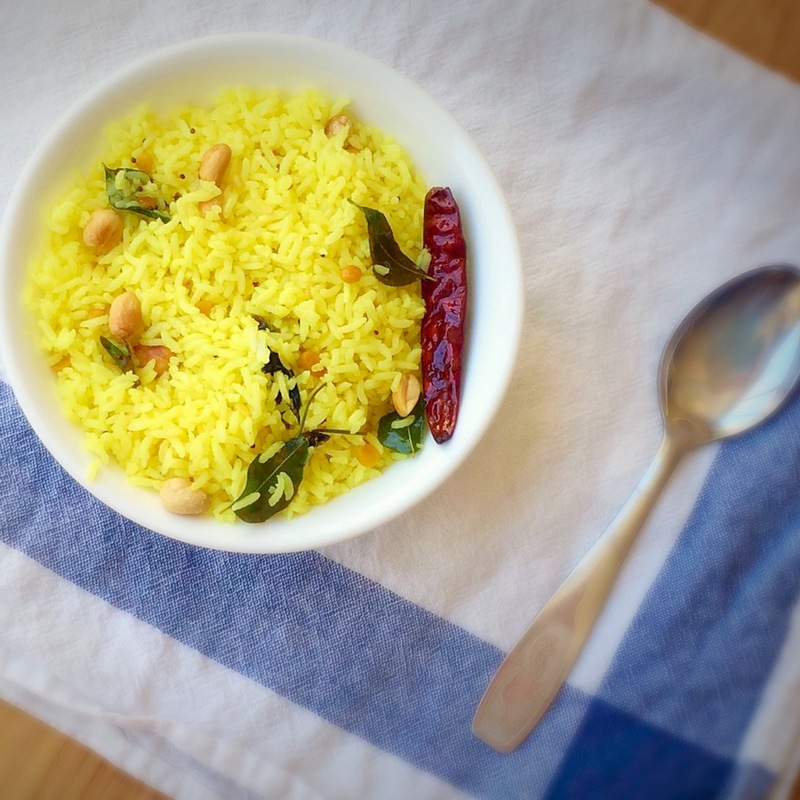 Heat oil in a pan, add mustard seeds after it splutters add cumin seeds, after it splutters, add peanuts, channa dal and urad dal, after it turns golden brown add dried red chilli and curry leaves. 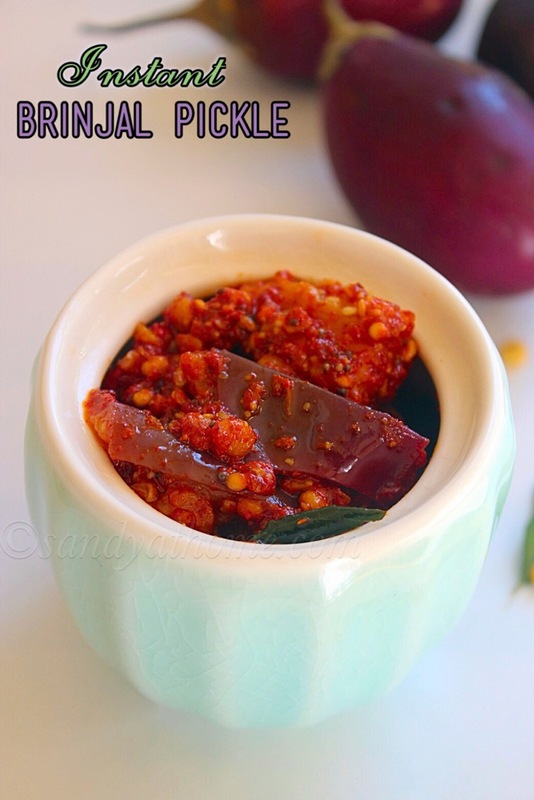 When aromatic add chopped garlic, saute well and add chopped onion. Saute well. Now add turmeric powder. 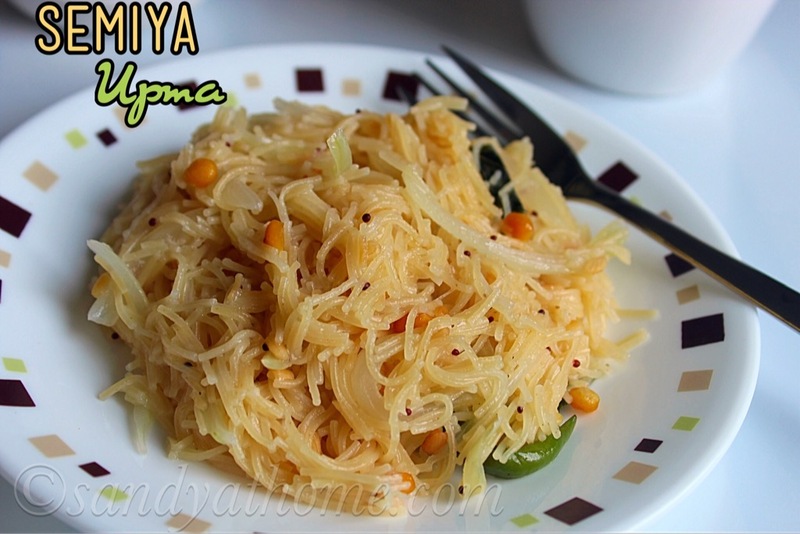 Give it a quick stir and add cooked rice and salt. Mix well and put off the flame. Serve it hot!